In signal processing. filtering to extract only a narrow part of the input spectrum is a common problem. For example, the input may consist of multiple adjacent video or audio channels and only one has to be filtered out. An efficient way to do this is using a cascade of simple FIR baseband filters, downsamplers and trivial rotators. Almost all FIR filters in the system are antialiasing FIRs for downsampling. 1; j; -1; -j; 1; j; -1; -j. In this case, the rotator does not require multiplications; only sign changes and demultiplexing. 1; 0.7071+0.7071j; j; -0.7071+0.7071j; -1; -0.7071-0.7071j; -j; 0.7071-0.7071j. In this case, only multiplication by the coefficient 0.7071 is required. 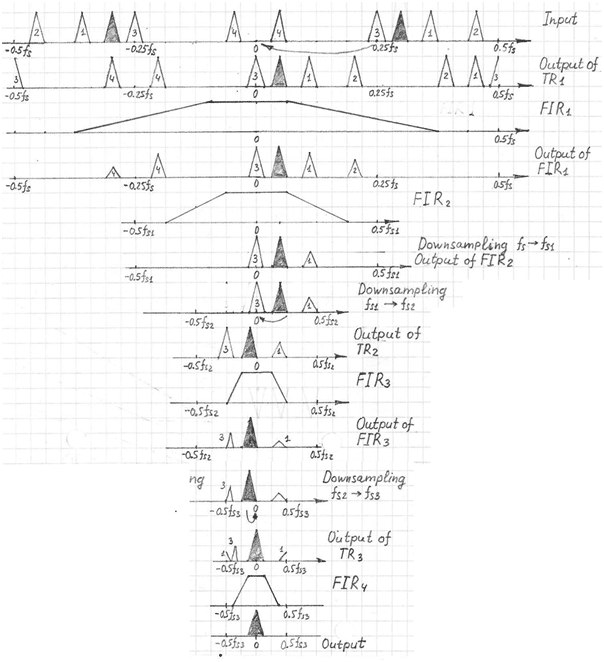 Figure 1 shows an example of narrowband signal extraction by a sequence of trivial rotation, filtering by antialiasing FIRs and downsampling. While Figure 2 illustrates an example of the output of narrowband signal extraction in the frequency domain.